Discussion in 'Femmes' started by Urban Stylin, May 14, 2009. Harvard grew up in Houston, Texas, but she currently resides in New Orleans, Louisiana. In 2006, Harvard graduated from Klein High School. In addition to modelling, Harvard is also a painter and photographer and has had her artwork featured in the novel 'The Story Told at Night' by Lisa Kuznetsova. In late 2005, Harvard gained notoriety as a non-self posting internet meme known as Creepy-chan, Tussin-chan, and later Cute-chan on the imageboard 4chan and on MySpace. Her pictures are commonly posted on internet forums, where she gained fame and her nicknames due to her heavy eye make-up and wide-eyed stare. The majority of her popularity can be attributed to her fame on 4chan /b/. In spite of this early fame, she was relegated to the background by 2006, until her resurgence in popularity in 2008 thanks to her participation in America's Next Top Model Cycle 12. Since news of her loss to Teyona Anderson broke on May 13, 2009, 4chan's Random, Television, and Paranormal boards have seen much outrage, including threats to the CWTV website. Some of this Internet drama has spilled over into the CWTV's own forum, The CW Lounge. Harvard auditioned for the Cycle 12 of America's Next Top Model even though she didn't expect to make it into the competition. Harvard stated that she wanted to enter the competition because she was into art and photography. During the audition process, Harvard stated that she loved nose bleeds and hemophilia. Throughout the competition, Allison performed consistently but appeared in the bottom 2 twice due to her 'one note look' and her inability to perform in the Covergirl commercial in episode 7. Despite this, Harvard improved and received a total of 4 first call-outs, the highest of any contestant in Cycle 12. In the finale episode, Harvard made the final 2 and was deemed as the most improved by the judges. Despite her improvements and strong look, Harvard lost the competition to Teyona Anderson. Throughout the competition, Harvard was a fan favourite and was the front runner on the CWTV website. I don't think Nous LA is the right agency or the right market for her. Her look is too unique for the commercial LA market. She should find a good agency in New York. i do agree LA may not push her too far, did anyone see the video of the final? i love her. she's so freakin weird. basically an improved Masha T., with a well shaped nose and legs. and she grew so much as a model on ANTM! i love her with huge hair. honestlyantm has some HQs of my favorite 2 pics of her. I love Allison, and I really hope she will go far as a model! she's young, awkward and clearly interesting. I love Allison! She should've won over Teyona, but it's ANTM! and Tyra is a good manipulator so every 3 seasons a black girl wins. Nevertheless, I'm glad that she has an agency which she got on the Tyra Show by the way, but a NY agency would be so much better. 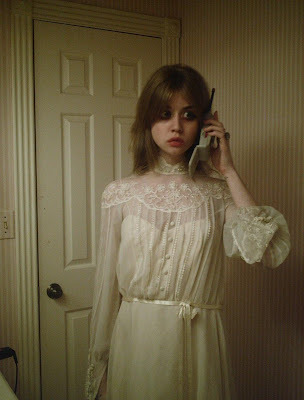 I lover her baby doll alienesque look and wide saucer eyes which resembles Masha Tyelna from Women. Elite should've signed her too, or maybe Supreme or Women...Go Allison! She has a really good personality. I don't know what she's doing signed in L.A though. She should give NY a try. Allison was my favorite model on ANTM!! I love her big eyes and fabulous body! While some people may think "those eyes are not very pretty" they're gorgeous! she knows how to work her angles and showcase her amazing talent. She'll go far in the modeling world, i know it! And i agree, she should try NYC instead of LA. She's actually not with Nous, only recieved an offer from them. On her myspace status, she says she's in New York currently. I apologize the link doesn't work on the 5th photo. Sorry for the triple post, one more photo Allison just added to her myspace.